Newcomer Family Obituaries - David B. Martin 1958 - 2018 - Newcomer Cremations, Funerals & Receptions. 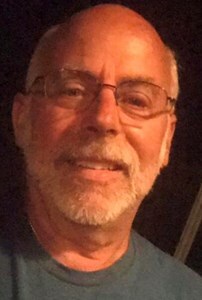 David B. Martin, age 60, passed away unexpectedly on Tuesday, August 7, 2018. He was born on February 18, 1958 to Roger and Edith (Friend) Martin in Savannah, GA. David served in the U.S. Navy and was an active member of RiverView Yacht Club. He was also a lifetime member of the Toledo Lighthouse Society as well as various other organizations. Along with everything stated above, David was a CSX Railroad employee and a "jack of all trades." Left to cherish his memory are his parents, Roger and Edith Martin; daughter, Aubrey (Travis) Repass; grandchildren, Tehya and Brody; siblings, Roger Jr. (Dianna) Martin, Marge (Tom) Hepperle and George Martin; current furry companions, Rooty and Squirt; former spouse and friend, Terrie Martin; numerous nieces, nephews, great-nieces and nephews and too many friends to mention. Greeted in Heaven by his loving son and best friend, David B. Martin, II; loyal furry companion, Buddy and both sets of grandparents. The family will receive guests on Monday, August 13, 2018 2-7:00 p.m. at Newcomer Funeral Home - Northwest Chapel, 4150 W. Laskey Rd. (419-473-0300) with his Sharing of Memories starting at 7:00 p.m. in the funeral home. To leave a special message for David's family please click on the, "Share Memories" tab above. Add your memories to the guest book of David Martin. Can't believe The obits yesterday of David's passing. My thoughts and prayers are with you girls and your familys. Beautiful photo tribute of Dave. Brought back so many memories of our younger days. So sorry to hear about Dave's passing! Our hearts are heavy tonight! He is now with his son in heaven. We are sending love and prayers your way, all the way from Florida!! Mr. Martin, you will be deeply missed. I will always remember the great times spent on your boat with you and David. Prayers and love to the Martin Family. Sending love and prayers from southern Illinois. We will all be together again in heaven. Our friend David! Oh how we will both miss you. You were the kind of friend of everyone NEEDS! We just can't imagine not have our talking sessions and going to dinner with you any longer. Our lives were better when we became friends with you. You will never be forgotten David. We will talk of you often and laugh at the silly jokes you always told. Lilley sure will be sad not to get her hugs from you. Your memory will live on through your family and the friends who loved you just as we did. This was not goodbye, it was "hey David we will see you later". Our prayers for The Martin Family.
" I spy with My Little Eye......"
There are no words. Don’t know we will do without you!!! !